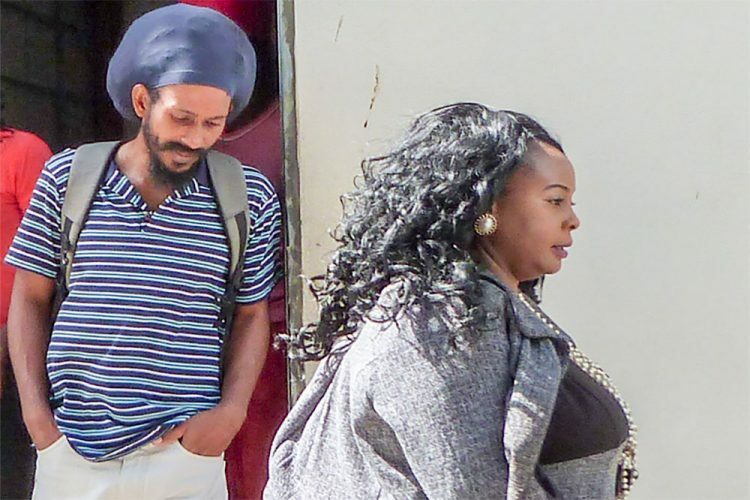 AFTER BEING SENT to the Mental Health Centre (MHC) for over a month, Hezekiah Naphtali, who identifies as a Moor, has been found to be of sound mind and he has been fined and freed. Hezekiah Naphtali, who now goes by Tonic Ikiya Ali, appeared at the Serious Offences Court on Wednesday. He was previously charged with three traffic offences, which include using motor vehicle PD139 without the relevant license being in respect of the vehicle between April 1 and September 3, 2018, using the same vehicle without there being a policy of insurance, and driving without being a holder of a driving permit. Naphtali believes that he is an aboriginal, and according to certain tenets of the Moor beliefs, he is not obligated to have a license or obligated to pay taxes, among others. His lawyer Michelle Fife advocated for her client that he is of sound mind, with no history of threat or physical violence. She did not think he should continue to be held on remand at the MHC further. Fife said that she explained to her client the difference between international law, and national law, and that he was willing to take a certain course of action. Chief Magistrate Rechanne Browne-Matthias indicated that two other traffic matters for Naphtali had become dated, and that those would be dismissed. She stood the matter down to make a telephone call to medical personnel and the three charges were subsequently put to Naphtali, and he pleaded guilty. In mitigation, Fife stated that when the accused was given a chance to plead he did not waste the court’s time, and pleaded guilty. She noted that her client was a member of the indigenous group, the Moors, and it is due to his fundamental beliefs that he had taken the line that he did. Fife said that although these beliefs have been recognized by the United Nations, her client recognized that if he wants to live in St Vincent and the Grenadines, that he must follow the requisite rules. She continued that Naphtali is a stable member of society who poses no threat to himself or his family. Naphtali has “placed his belief within the context of the law,” Fife stated, and is now willing to comply with all traffic rules and regulations. The lawyer asked that jail time not be given to Naphtali, in light of the fact that he has already been on remand at the MHC since November 28, 2018. Browne-Matthias said that she was not considering a custodial sentence, as she is mindful of the nature of the offence. She fined him $250, $700 and $300 respectively, and after some time, Naphtali was found to be able to pay the $250 and $300 sums forthwith. The final payment of $700 must be paid before February 4, 2019.